Looking for the seemingly impossible. My friend and I are looking for what seems to be an impossible thing to find. We spent about a year roleplaying in Crack Den and Lafourche Crossing, but we took a break together. Now we're looking to revive our characters and the interest in roleplaying again, but can't seem to find anything. If anyone has suggestions, that'd be great. I'm feeling pretty discouraged after searching for a couple days. Preferably para-roleplay, but at least the focus should be on the RP. We've checked out places like Acacia falls. Cedar creek. Santa Ramona. Cocoa bay, elk point... They all either are community-based first with Rp second or don't allow children avatars. I just moved to Acacia Falls. I have bounced around from community to community for some time now. I'm hoping this is my last move. or don't allow children avatars. You and me both. I'm really disappointed with allowances for child avatars. Everyone points me to community Sims, but most are residence first and roleplaying maybe later. If you are open to slightly paranormal/urban fantasy, I'm in talks with the owners of Arbordale to plan some roleplaying events there. It's modern and kid and fur friendly. We're looking at a sort of super hero backdrop, where kids are getting strange abilities, but have gone into hiding or run away from home because of them. The sim itself isn't strictly roleplay, but they're trying to add more play options and attract more people. Currently lingering around missing mile / world of soap and enjoying it but I greatly miss modern day para rp. Plot driven scenes. Not "rp chatting" or "community with school and fire ems like everyone else and 3 pages of rental information with no plot or rules being enforced". Also still looking for medieval fantasy sims but that seems impossible. Willing to give Liberty Bay another shot but my friend and I spent two months actively trying to get into rp with people. Most of the time, everyone is in their home. If they aren't, they're at some ooc event like a concert. If they are on Sim and rping, you're lucky to be noticed or talked to even after directly posting at someone multiple times in multiple post rounds. I'll most definitely be keeping an eye on this topic, as what you've found seems to be the gist of what I've found, too. I've tried Cocoa Bay, too (and Liberty Bay as well), but as you've said, most everyone stayed in their homes or were OOC. I'd definitely be happy to get in contact with you and help with the search! why not get your own group going where theres like minded? Not everyone has the financial means to afford a sim or larger parcel. Plus, managing an RP group/sim/large parcel takes up time which cuts into actual playing time. Your solution seems like an obvious and easy one at a glance but once you think about it, it's truly not easy. We aren't a full sim, but we're a close-knit collection of roleplayers aiming to grow and expand our story to include new members of the guild with hopes to eventually grow into a full sim over time. This is intended to be a group that rp’s together on a long-term, sustainable scale. We call all those that love a believable, immersive, mystical storyline with something for adults, teens, children, and animals. It's a modern, supernatural setting where magic exists secretly in a world much like our own. We've set things up such that they are geared toward flexibility - for players that wish to only play within our setting, or those that wish to use other places as their "mundane world" backdrop. For us, we seek to have a collaborative and cohesive storytelling experience that grows and builds over time. We've seen a lot of places rise and fall because players do not invest themselves in the story or don't give back to the environments/groups they play with, so we're inviting other players in that put that same emphasis on feeding the whole so we as individuals feast. Because of that, we will be ever-expanding, ever-growing, thriving off of the collective energies of our players. Details are our addiction, so more depth and imagination is woven in and becomes available every day. Presently we are trying to kick off and build up our Magic Academy (Youth students aged 10+, as well as adult students. We also need teachers) as well as our Coven, with things for werewolves and other supernatural creatures on the short horizon (The structure is there, it just isn't available on the site or in our play environment YET, so if this appeals just ask). Younger children and families are welcome as part of the coven with the acceptance that some scenes will not be suitable for kids to be around. This is absolutely a family “friendly” group, but plot arches and rp content won't have 100% strictly PG content always. 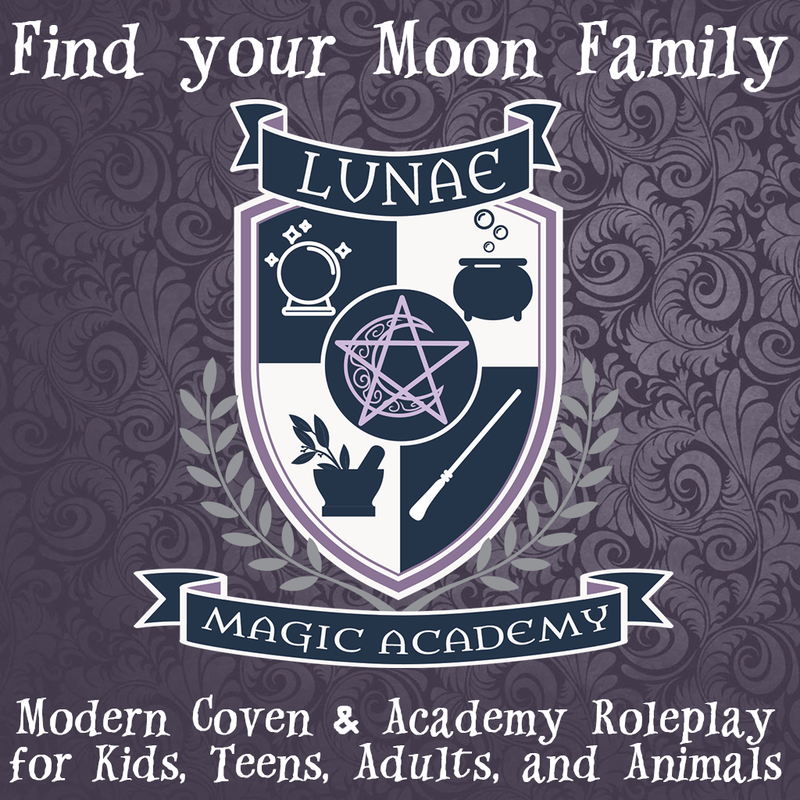 Also, we are putting together a magically inclined "scouts" program that is a little more casual in how the RP flows - but still applies generally to our main story (in that it is organized by the coven icly, and players can include helping out with it as part of their character development, etc) for those that do wish to participate in both. Realistic animals are also welcome. We love animals. As mentioned, we do not have a full sim open to the public, but we do have a decent amount of land where we've created an immersive in world RP environment (and continue to expand and upgrade as we go). I'm happy to give interested players tours and discuss what we've got going on, and where we are headed. We will only improve as there are more people and more imaginations thriving in the experience with us. Contact Bronwyn Breen in world for any additional info or tours. I live at Giano, been here for 3 days and so far seen 3 kids running around (all in full rp mode). While we do not allow child avatars, we are a modern, human only, roleplay sim that focuses on characters and story development. Why even bring up a place that is polar opposite of the stated requirements? Will the children also be feral? I need to know this, also. Not enough sims have feral children. So half a year has gone by and I still have not found anywhere worthwhile to RP at. Now I'm really just looking for a modern day sim that's not focused on the rental/family community first. Guessing no one still knows if there's much out there? Check out our place. We are newish but we have something for all age characters, and animals. We have been buzzing at anywhere from 5 to 20 people on sim at a time. Though Monster Hunter and the WoW expansion as well as school starting in a lot of places has had us a little more quiet this pay week but we are still growing into a very vibrant community. For me it's a matter of perspective... Yes, there are fantasy role playing sites and mature role playing sites, with HUDs to support certain types of actions. However, all of SL is role playing, if you wish. While some people choose to just chat in conversations, you could make all your interactions in-character. If you get enough people together to meet regularly at certain times, then you've created your own "game." I myself have been looking to bring together business types and "idea" types to create a new business. We'd meet at various locations to brainstorm. Initially, I'd like to plan a fictitious business. Then I'd like to see if we could implement it in SL, where Linden $ are a lot more affordable than real $. Then I'd like to find an investor to implement in RL, showing them the data collected in SL. Any takers? Let's brainstorm how this would actually be implemented. Why don't you make a thread for this instead of hijacking someone else's with a clearly different topic? This person has been on the lookout for something very specific for half a year. And plus you would get more attention and discussion on an original thread about your idea. Thanks! Checked out the site, currently looking for a more traditional modern day RP to bring two characters of mine back to, but I will keep the sim in mind when we're looking for something more on the supernatural side! I appreciate the clearly stating that you're open for kids and animals as well, on the website! No, it's not a matter of perspective, sorry. I am a writer, and in between working on a novel I like to decompress with other creative writers who have no problem writing in depth Rp scenes. I have a few genres I flit between on a regular basis, and a couple of characters I like to write with. I like the fluidity of a real roleplay sim, the scene, much more than just gathering people together. Thanks but no thanks. I can sympathize. I get frustrated with a lot of SL staple RP culture that has grown into the "norm" over the years. I had a similar issue also with having trouble finding what I wanted from a sim or having to choose from the depth and immersive feeling I seek when I share the act of storytelling with others, and having to choose the youth characters that were a huge part of my character's lives and who's players mean a lot to me and I thoroughly enjoy telling stories with. So, I opted to create my own community. We do things similarly enough that no one has to relearn the art the share from scratch, we just add emphasis on accountability and participation from our players. It has been a really amazing and inspiring experience so far. We have a ton of different plot themes from wholesome slice of life to dark underbelly. Our moderate rating keeps things more balanced and layered and feeling more "real" with it still being a delightfully creative escape from reality. Sorry, I nerd out a smidge, but we've been having a lot of fun and we've barely even covered the tip of the ice burg. We have a really cool group of storytellers so our potential is pretty exciting.